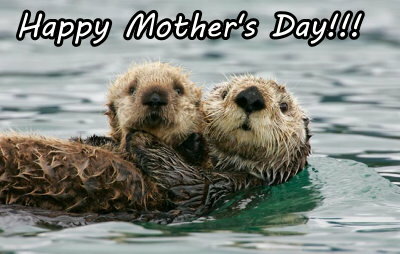 Happy Mother's Day out there to all the Moms! I hope you all have an excellent day! Just a reminder if you'd like to add a link to this Share With You Sunday, please fill out the form, and I'll add your link in! A Polished Life shows us an awesome purple and flakie combo. Babbling Brooke shares with us "The Lazy Girl's Guide to Building a Lightbox". Can anyone identify Bonny Binnacle's beauty of mystery polish? Enamel Girl shares with us swatches of the OPI Pirates of the Caribbean collection. GiMiKd Girl makes me want another NYX color. I think I also need this Sally Hansen pink from Ice Queen's Nail Parlour. NicNack's Nails sports her awesome purple and cheetah manicure. Rachel Marie's Nails compares a $25 Chanel polish to a much more affordable Revlon dupe. Wacky Laki makes me think twice about underestimating non-mainstream colors. Clumps of Mascara tells us about Milani Baked Blushes. Lust for Color shares with us her April favorites. Makeup Zombie shares with us some pink and red lippez spam. Power Femme encourages a great discussion on Bootie Babe Cosmetics. More Nail Polish shares her holo magnetic franken. Forever 1992 shares her Cinco de Mayo manicure. Thank you, Steph! I appreciate the mention! And thanks for following, too! Would you mind if other people latched on to the idea of "Share with you Sunday"? So long, farewell. See you soon SPAM!